Despite a larger sense of visibility and acceptance for issues such as gender equality, women and marginalised people are still taught to shrink. Whether it's squeezing up on a bus while a manspreader takes up three seats next to you or the online vitriol thrown at women who speak out on social platforms, we’re constantly being reminded that the idea of simply existing comfortably is a luxury not allowed to many women and nonbinary people. 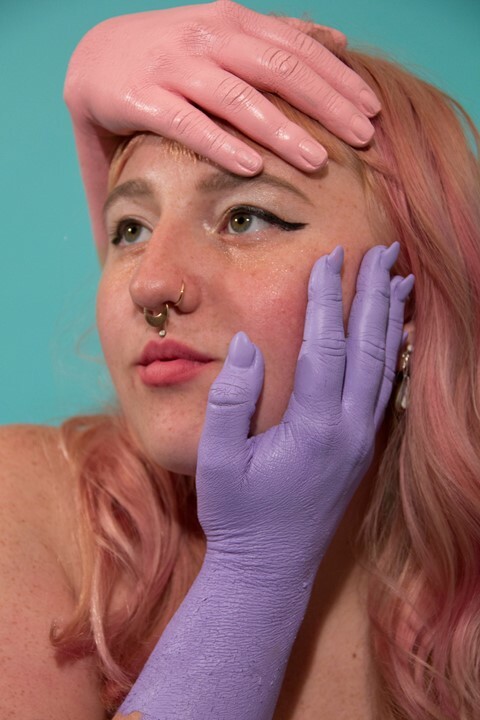 However, one photographer with a track record for discarding societal notions of what marginalised people should or should not be is Ashley Armitage. “I'm still into the idea of a ‘pretty’ photo, but I'm also stepping more out of my comfort zone to show the things we're told to hide and representing them in a positive light,” Armitage continues. Casting her friends as models and treating a shoot as more of an opportunity to hang out with friends. “The process is really fun, and I think it really defines the photo shoot. The fun and the comfortability allows me to create authentic and intimate photos,” Armitage says. Her approach to diversity is natural and unforced – her images representing and reclaiming our insecurities in a way that feels miles away from faux acts of female empowerment championed by big brands and beauty labels.